Source: Mennonite Archives of Ontario XV-19.3-1992-14-131. Rudolph "Rudy" Boschman: minister and teacher; born on 15 October 1923 in Rosenort, Molotschna Mennonite Settlement, Ukraine, the son of Nikolas Boschman (21 August 1899, Rosenort, Molotschna, South Russia – 9 May 1971, Yarrow, British Columbia, Canada) and Elisabeth “Liese” (Klassen) Boschman (1901, South Russia – 20 February 1980, Yarrow, British Columbia). Rudy was the eldest of two children. Rudy married Anne Klassen (31 July 1921, Kalantarovka, Caucasus, South Russia – 10 June 1986, Abbotsford, British Columbia) on 22 August 1943 in Yarrow, BC. She was the daughter of Jacob J. Klassen (1887-1967) and Katharina (Hooge) Klassen (1889-1979). Rudy and Anne had four children: Edwin, Mervin, Evangeline, and Vivian. After Anne’s death, Rudy married Anne Janzen on 14 February 1987 in Winnipeg, Manitoba. Rudy died on 28 October 2012 in Abbotford, BC, where he was buried. Rudy immigrated to Canada with his parents in October 1926 at the age of three. They arrived at Rosthern, Saskatchewan before moving to Whitewater, Manitoba in 1927 and to Yarrow, British Columbia in 1932. In the winter of 1932 Rudy received the assurance of salvation. He was baptized and received into membership in the Yarrow Mennonite Brethren Church on 28 September 1938. In his late teens Rudy became a truck driver for a local transport business. Winters were spent studying at Elim Bible School in Yarrow, graduating after three years. Rudy then taught at the school in 1946-1947 and 1948-1949. He obtained his high school diploma from Shurpass Pacific College (now Columbia College), a school for adults in Vancouver that offered a high school completion program, in 1951. Rudy attended Mennonite Brethren Bible College in Winnipeg, Manitoba for three years, followed by a nine-week term at the University of Washington. Rudy never gained a major degree, and he sometimes regretted that. However, he was recognized as a natural influential leader and was hired to teach at the Sharon Mennonite Collegiate in Yarrow, where he taught from 1956 until 1962. During those six years he was actively involved with local young people in the Yarrow community, with a desire to see them won to the Christian faith. Additionally, he was a champion for transitioning to the English language so those same youth could express and experience their faith in their primary tongue. In keeping with Rudy’s giftedness in music, he became part of a local male quartet. Together with several others they formed a team which aired a weekly Christian program on CHWK, a Chilliwack radio station. It was well received. In 1962, Rudy and his family moved to Vancouver, where he served as an associate pastor at the Fraserview Mennonite Brethren Church for two years. Following that, the family moved to Linden, Alberta, where Rudy pastored the Linden Mennonite Brethren Church from 1965 to 1968. Rudy had a heart for evangelism. This was recognized by the Canadian Mennonite Brethren Board of Evangelism and they called him to serve as an evangelist for the Canadian Conference. Boschman served in this capacity from 1969 to 1973, some of the time partnering with the Messengers Quartet. This called for deep commitment by him and Anne. Rudy would be away for two to three weeks at a time. On one occasion he returned from several weeks of ministry, met Anne at the Vancouver airport for several hours and then took a flight out for another series of services. Many attribute their new or renewed relationship with the Lord to Rudy’s warm presentation of the Word. He was in demand by many churches, and being very much a people person, gained many friends across the country. Rudy’s sensitivity to his family caused him to consider other options for ministry. When Central Heights Church called him and Anne to be their pastor, he accepted and served for 12 years from 1973 to 1986. The congregation’s membership doubled during those years. Thereafter in 1986 the BC Conference of Mennonite Brethren Churches extended a call for him to be the Conference Minister. 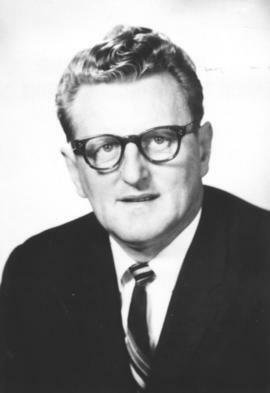 Rudy retired as conference minister on 31 December 1988. In their retirement years, Rudy and his second wife Anne spent over a year in Vienna assisting a church. Thereafter they enjoyed a number of winters in Mesa, Arizona, where Rudy was actively involved in the local church. Due to several strokes, most of his last years were spent at home, with the last two confined to a complex care facility. Boschman, Rudy. By My Spirit. Abbotsford, BC: Rudy Boschman, 1995. GRANDMA (The Genealogical Registry and Database of Mennonite Ancestry) Database, 7.05 ed. Fresno, CA: " California Mennonite Historical Society, 2013: #571315. Dyck, Nick J and Ed Boschman. "Boschman, Rudolph “Rudy” (1923-2012)." Global Anabaptist Mennonite Encyclopedia Online. October 2014. Web. 23 Apr 2019. http://gameo.org/index.php?title=Boschman,_Rudolph_%E2%80%9CRudy%E2%80%9D_(1923-2012)&oldid=133691. Dyck, Nick J and Ed Boschman. (October 2014). Boschman, Rudolph “Rudy” (1923-2012). Global Anabaptist Mennonite Encyclopedia Online. Retrieved 23 April 2019, from http://gameo.org/index.php?title=Boschman,_Rudolph_%E2%80%9CRudy%E2%80%9D_(1923-2012)&oldid=133691. This page was last modified on 26 February 2016, at 04:30.